Hulikere is 5 kms from Halebidu on Halebidu – Hagare road. Hagare is on Hassan – Belur road. There is a signboard mentioning about the Kalyani which can be easily missed. Take a left here and after a km is the Kalyani. The 9-tiered tower is about 50m high. Commissioned in the early 16th century, it stands as the only unspoilt structure in the middle of the vast ruins of an ancient city. Hidden in a small hamlet in South India is this beautiful tank surrounded by niches on all four sides. It served as a bath for Queens in the first half of the 12th century. Temple tanks are wells or reservoirs built as part of the temple complex near Indian temples. They are called pushkarini, kalyani, kunda, sarovara, tirtha, talab, pukhuri, etc. 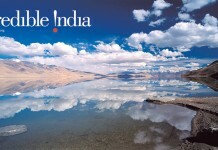 in different languages and regions of India. Some tanks are said to cure various diseases and maladies when bathed in. It is possible that these are cultural remnants of structures such as the Great Bath of Mohenjo-daro, which was part of the Indus Valley Civilization. This can be taken as a milestone in the art of constructing Kalyanis or Pushkarinis. 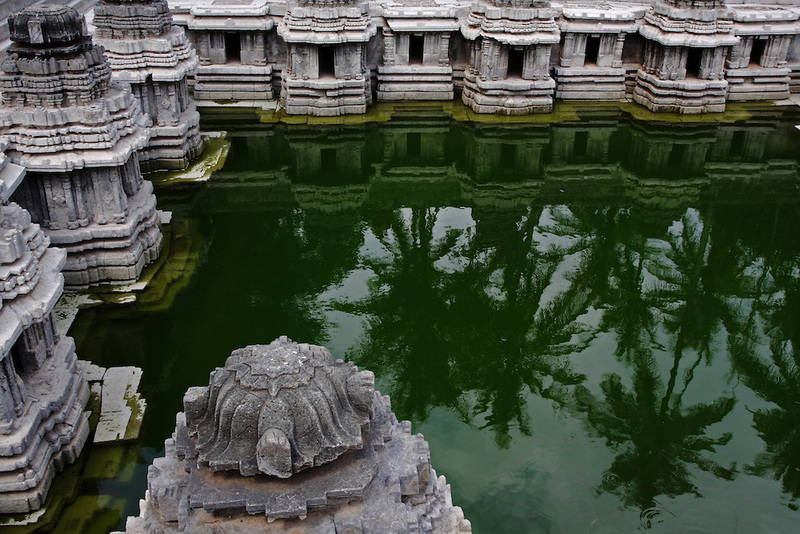 This beautiful sacred pool of water is situated in a small village called Hulikere, 5 Km from Halebeedu. 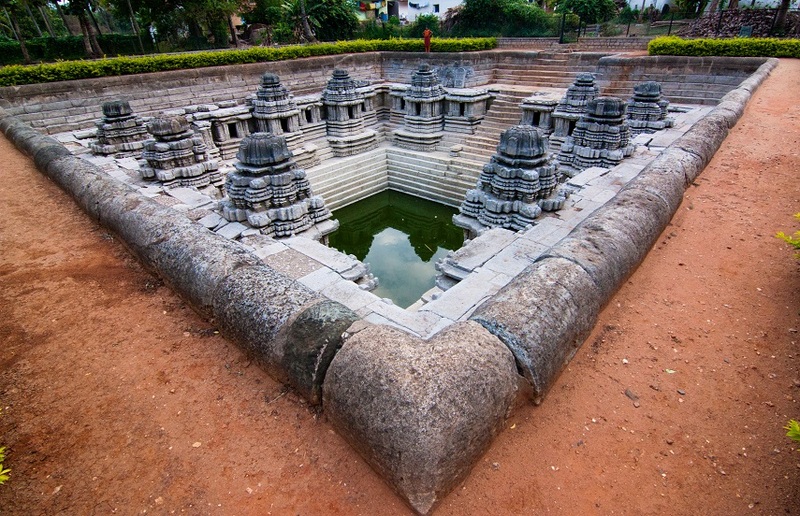 In this pushkarini, constructed like a well under the ground level, there are stone stairs up to the mid height from the bottom on all the four sides. Above that level there are 12 sanctums with pinnacles (Shikhara’s). Amidst them are also 14 sanctums without peaks are pinnacles. In the place of another possible sanctum there are the down taking steps. The 12 sanctums of this Kalyani may be most probably representing the twelve Zodiac constellations. 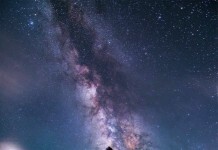 While the total number of sanctuaries may be standing for the 27 stellar constellations. So goes the surmise done by connoisseurs. In that case there existed a unique architectural design in this pushkarini representing the celestial sphere and its different constellations. Then this discovery marks a very new astounding fact of the Hoysala architecture. As this great pool is filled ¾ with water during the rainy season, its full beauty is discernible only during the summer season.